We are a leading Wholesale Trader of kerala ayurveda winsoria oil, kerala ayurveda myaxyl oil, indulekha bringha ayurvedic hair oil and neeleebringadi coconut oil from Mumbai, India. 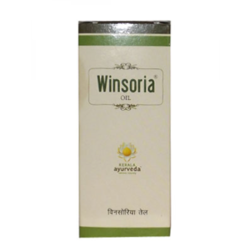 Our enterprise is widely engrossed in providing an impeccable quality Kerala Ayurveda Winsoria Oil. Applied on the effective area for psoriasis, offered oil is processed using high grade chemical compounds and ultra-modern technology by vendors’ experts in compliance with the set of industry norms. So as to ensure the quality, this oil is stringently tested on various quality measures. In addition to this, we provide this oil in different packaging options as per the demands of our clients. 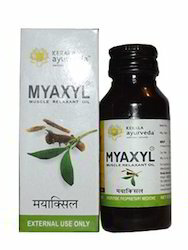 Owing to our years of experience in this industry, we are successfully efficient in supplying a qualitative Kerala Ayurveda Myaxyl Oil. Reduces swelling, irritation & relieve joint stiffness and all kinds of muscular skeletal pain, offered oil is precisely procured from the trustworthy vendors’ of the market. Apart from this, provided oil is inspected under the guidance of our quality examiners on different parameters. Our prestigious clients can avail this oil from us at nominal prices. Apply 5 to 10 ml on the affected part or as directed by the physician. 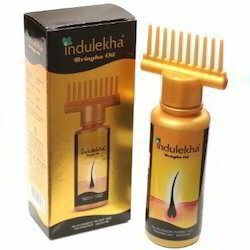 With the endorsement of our talented and skilled medical professionals, we have been able to provide a superior quality Indulekha Bringha Ayurvedic Hair Oil. Our vendors’ professionals utilize only quality proven chemical compounds and modern technology to process this hair oil in sync with the set industry norms. The offered hair oil is applied before shampooing to avoid making the hair too greasy. Moreover, this hair oil is available in varied packaging options. 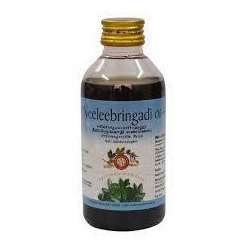 We are successfully engaged in catering to the diverse demands of clients by offering a clinically approved assortment of Neeleebringadi Coconut Oil. The offered oil maintains and promotes the health of the hair and scalp, providing anti-fungal and anti-dandruff actions. The provided oil can prevent and reverse premature graying. The offered oil is available in various packaging material in order to cater the demands of our clients. Looking for Herbal Oil ?